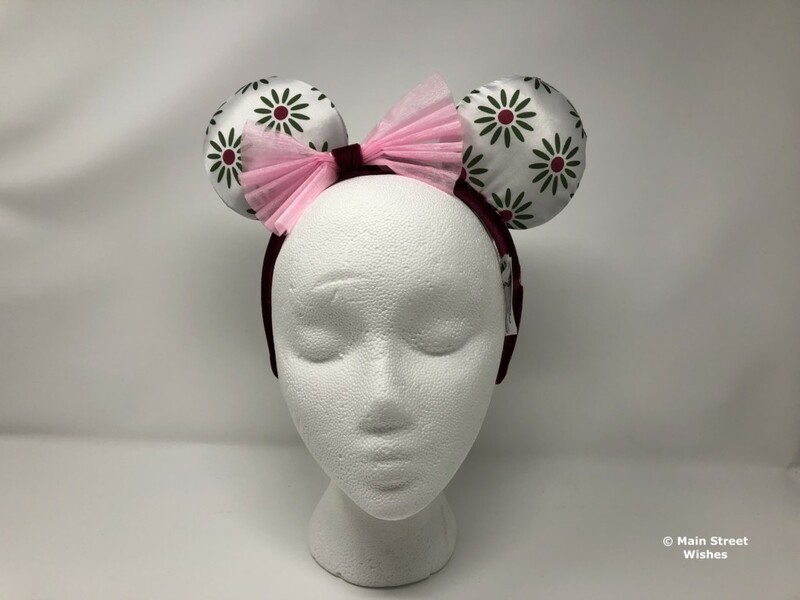 This week’s ears in the spotlight are a great pair for any Haunted Mansion fan. Any Haunted Mansion fan will recognize the theme of these ears. They are themed after the tightrope walker from the stretching room in the popular attraction. 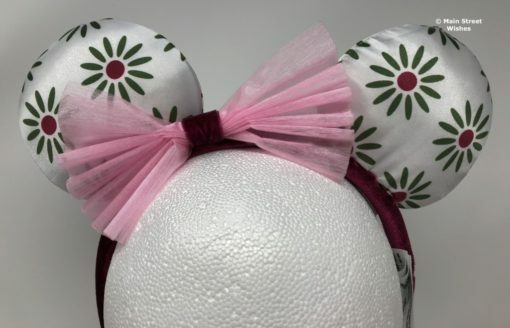 They are such a cute pair! 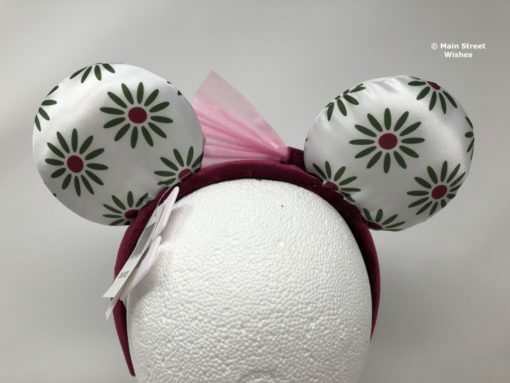 The ears on this headband have the same pattern as the bottom half of the tightrope walker’s dress, which is a white background with a design that looks like flowers with green petals and purple centers. There is stuffing in the ears, so they a little puffed out, and the material has a satin feel to it. 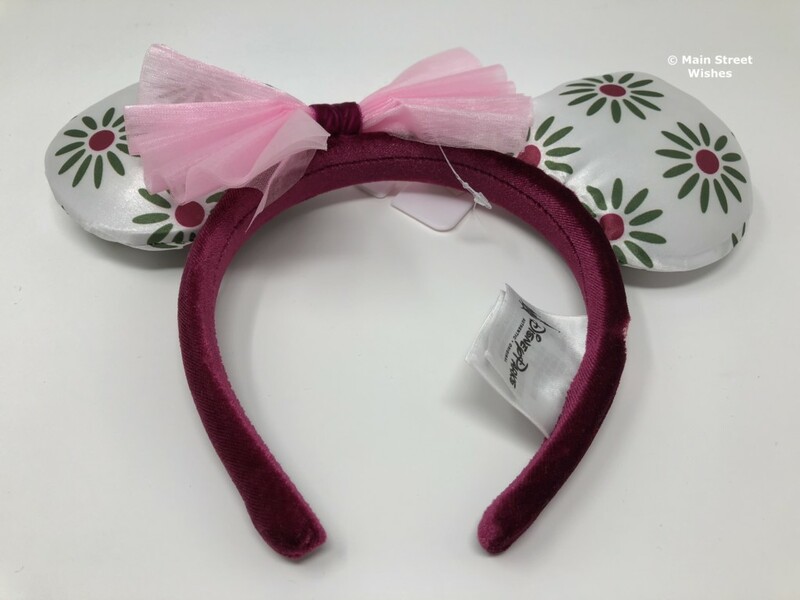 The material that covers the headband is the same color as the top half of the tightrope walker’s dress and it has a velvet feel to it. 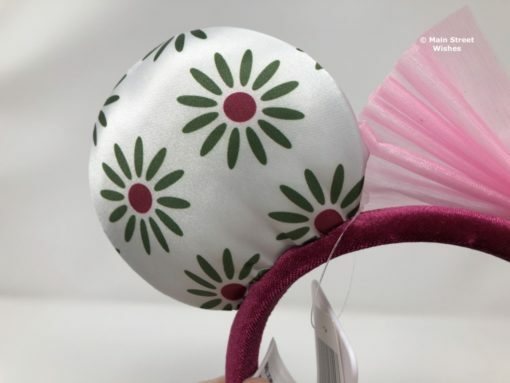 The same material wraps the whole headband, inside and out. 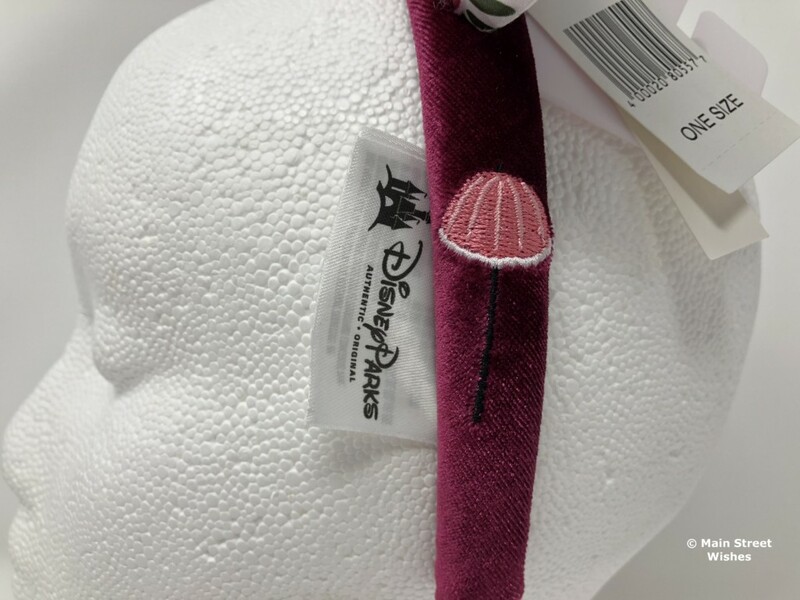 On one side is an embroidered parasol, like the one the tightrope walker uses in the picture. The bow is made of pink crinoline, which can end up a little scrunched. 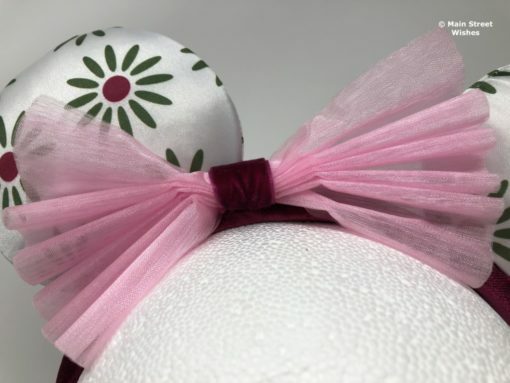 To keep the bow together there is a piece in the middle made of the same material that is on the headband.